Pawn your Pear Cut Diamonds- 24 Yrs of Loans on Pear Cut Diamonds ! The joy of owning fine jewellery can be deeply personal; especially if you have exquisite pear cut diamonds that have far more meaning to you than just a long term investment. Selling jewellery featuring precious stones may seem like the only option to liquidate your assets. However, did you ever consider “Could I pawn my pear cut diamonds and other items?”. With the right assistance, loans on pear cut diamonds are possible, and also preferable to selling. The reason you have an option to release the equity in your high-value belongings, without relinquishing ownership, is that we offer a confidential pawnbroking service for luxury assets. The personnel at our pawnbrokers’ offices in Mayfair have unique insights and experience, that have cemented our enviable reputation in this field. We understand the value of your prestigious luxury items, but we also appreciate the importance of empathetic customer service. You could well wish to explore the option of loans on pear cut diamonds discretely, to secure a feasible loan value swiftly with our award winning pawn shop in Mayfair, London. How much could I loan on my Pear Cut Diamond? As you are probably aware, the value and beauty of a pear cut diamond stems from its unique form. It is an exquisite combination of a round and marquise shape, tapering elegantly at one end, and it is accepted practice to wear a pear cut diamond with the tapered end pointing downwards.Each pear cut diamond could have between 58 and 72 facets and can be slim to wide in overall dimension, which all adds to its brilliance and beauty. It is an intricate and exacting process to shape diamonds into this hugely attractive cut and fit them into perfect settings. Pear cut gems are particularly popular for engagement rings, due to their feminine grace and stylish symmetry. They also appear in some of the finest earrings. 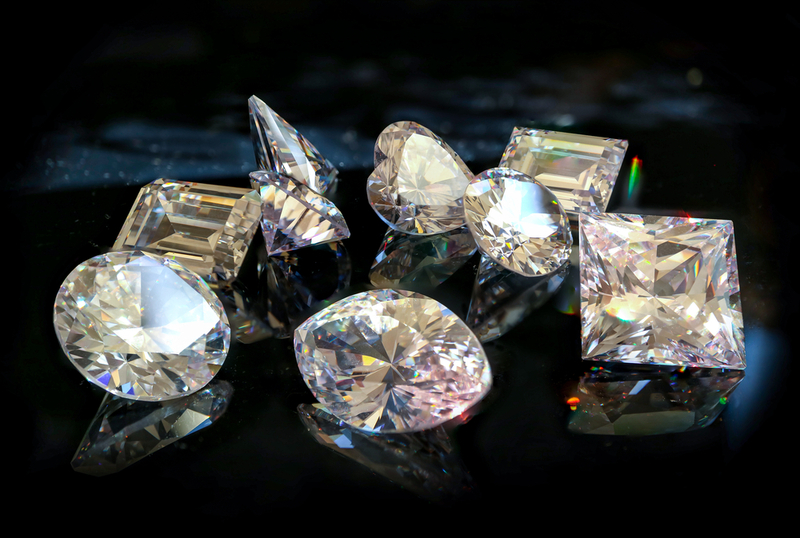 This means that the market for loose consignments of pear cut diamonds is extremely buoyant. Stunning jewellery items or sets that use this particular diamond are also in demand when they are presented at leading auction houses. In May 2018, a necklace by Moussaeieff reached a sale price of $20.4 million at Christie’s Hong Kong. Its central flawless feature was an incredible 8.01-carat pear-shaped fancy vivid blue diamond. Back in 2016, a fancy vivid pink pear shaped 9.14-carat diamond, set gloriously into a platinum ring, sold for $18,174,632 at Christie’s in Geneva. Clearly, should you decide to sell, you can be assured of a high price. Though for many of our customers, it is far preferable to explore “Can I pawn my pear cut diamonds?”. However, if you already own a pear cut diamond, your interest may be focused on finding out how much it is worth and how to raise a loan on its value. So, what are the steps involved in securing funds based on the value of pear cut diamonds, and other valuable jewellery? It begins with a private appointment with our New Bond Street pawn brokering experts. A realistic valuation will take place, and you will receive a loan figure based on our authentic industry expertise and insight. The terms will also include a reasonable interest rate. As part of our high level of customer service, our confidential discussions will include ensuring you can reacquire full ownership of your item or items, in a timescale that best suits your preferences and financial arrangements. To make an initial enquiry about pawning pear cut diamond jewellery and other valuable items at our award winning pawn shop in London, please contact us for a no-obligation discussion. For more information on services provided by New Bond Street Pawnbrokers please watch our video here and read about the loan process here.